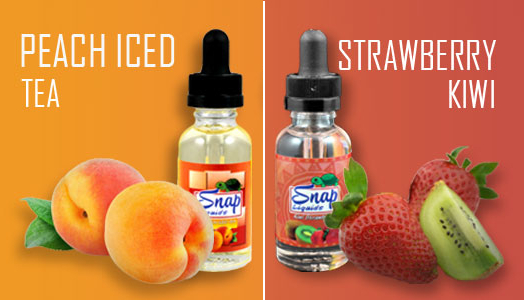 All Snap Liquids e-liquids are mixed at a ratio of 90vg/10pg, and taste just like your favorite Snapple drinks! Kiwi Strawberry by Snap Eliquids is a refreshing blend of sweet strawberries and tart kiwi - just like vaping your favorite Snapple flavor! Peach Iced Tea by Snap Eliquids is a deliciously authentic Snapple Peach Iced Tea flavor that will blow your mind - it's like vaping your favorite Snapple flavor!